BUT NOW WE GOT A WHOLE BUNCH OF EM! 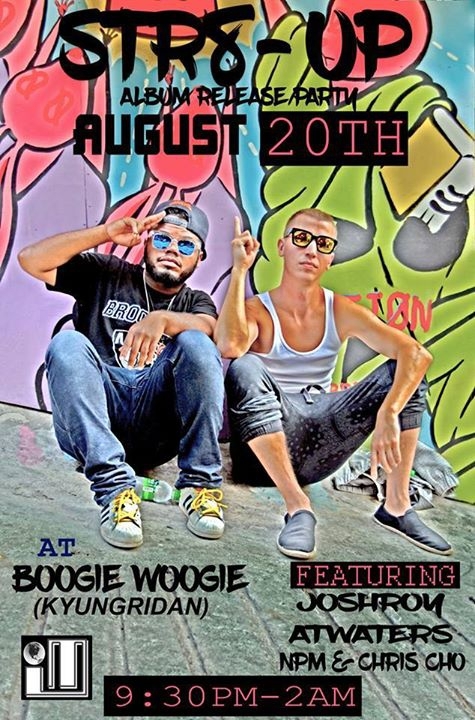 So, come on out on the 20th to Boogie Woogie and help support our debut album, 'Liberation'. We started this group about 7 months ago and we've been working hard every Saturday afternoon with no exceptions to make this happen. This will be my third album release party in Korea, and I'm really happy to be doing it with my partner in crime, Haakeem Potter aka Dow 6. We really appreciate everyone that has continued to support us and we sincerely hope to see you all there. Details below! 12:05-2:00 Jeremius1 on the 1's and 2's! 10,000 won and you will receive an 8GB USB with the album on it. CD's are dead, and USB's are always useful SHAZAM. We will have 3 models pouring out free liquor so make sure you hit one up (but they're not all single so be careful! ).